I'm home! Did you miss me? LA & San Francisco were amazing! Loved everything about it, particularly the fact that it was nice cool jacket weather in June, unheard of in Miami. Anyways wanted to get started right away, although I have many emails to go through. It might take me awhile to get fully caught up. Here's one that I was about to post before my trip, but I ran out of time. 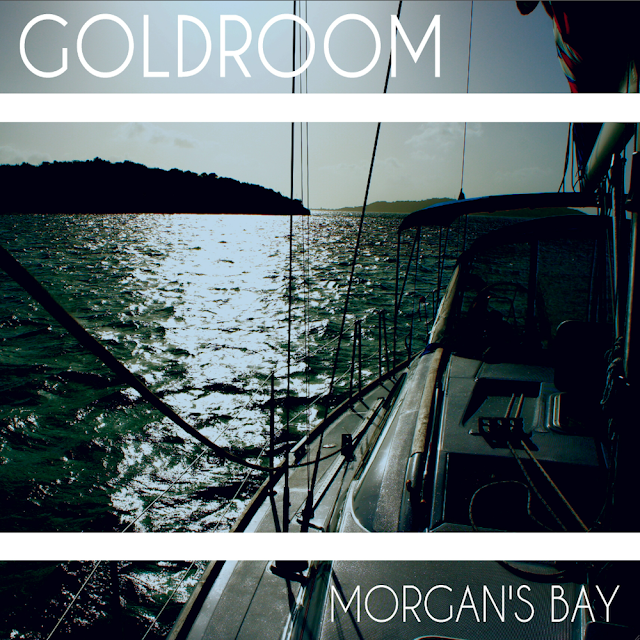 Goldroom is the solo side project of Josh one of the dudes from Binary's Nightwaves. With his side project he continues with a similar nu-disco tradition that we all know and love, but with a little added carribean flair on "Morgan's Bay" perfect for summer. He has three tracks up on soundcloud with "Morgan's Bay" being offered as a free download. Check that out below, you can sample the other two on his soundcloud I linked above. He's gonna be busy remixing Penguin Prison as well. Can't wait for that, in the meantime enjoy this goodie.